it delivers exactly the kind of quick-dip information that modern readers crave. Maps, charts, diagrams, graphs, photographs, illustrations—some 600 pictures in all—combine with hundreds of fast facts and short pieces on the people, places, wildlife, weather, history, and current events that matter in our world today. 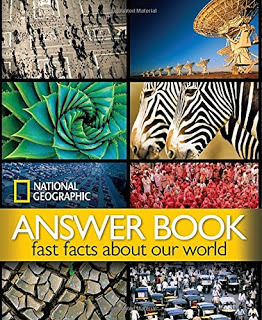 National Geographic Answer Book is a vital reference for school, a handy resource at the office, and a fabulous pick-up-and browse companion at home.